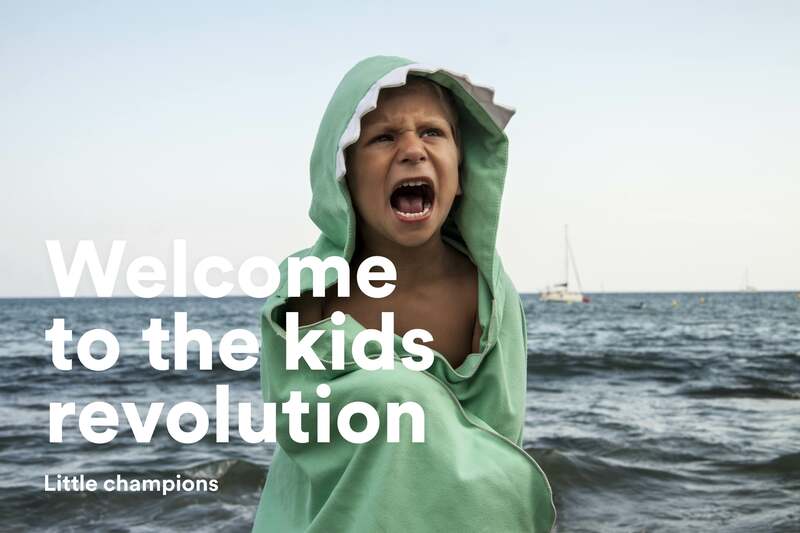 Autonomy Shark is a hooded towel with a matching storage bag, created to foster your baby’s (1 to 6 years old) sense of self-reliance and well-being. 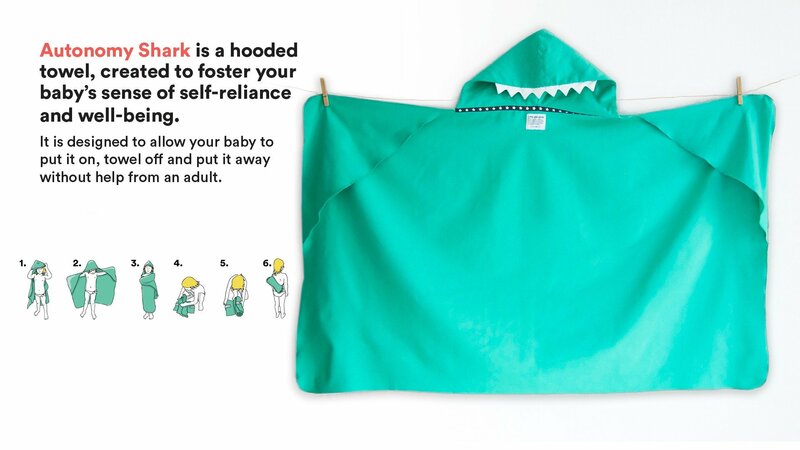 It is designed to allow your baby to put it on, towel off and put it away without help from an adult. Autonomy Shark has teeth and a fin on the hood.